I made donuts. 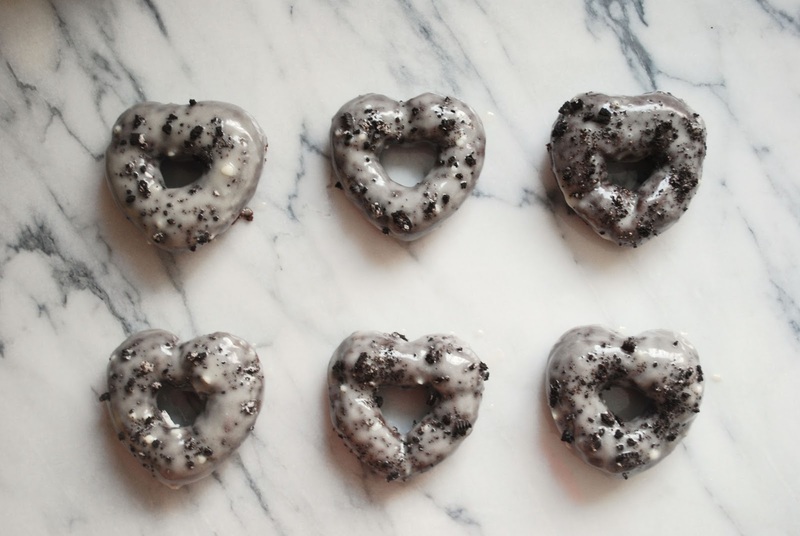 Delicious, chocolate-y, heart shaped donuts. FOR BREAKFAST. WITH OREOS. I'd blabber on about these for a while, but I'll let the pictures do the talking instead. Mmm! It goes without saying that I'll be making donuts forever. Yup. Forever! 1. 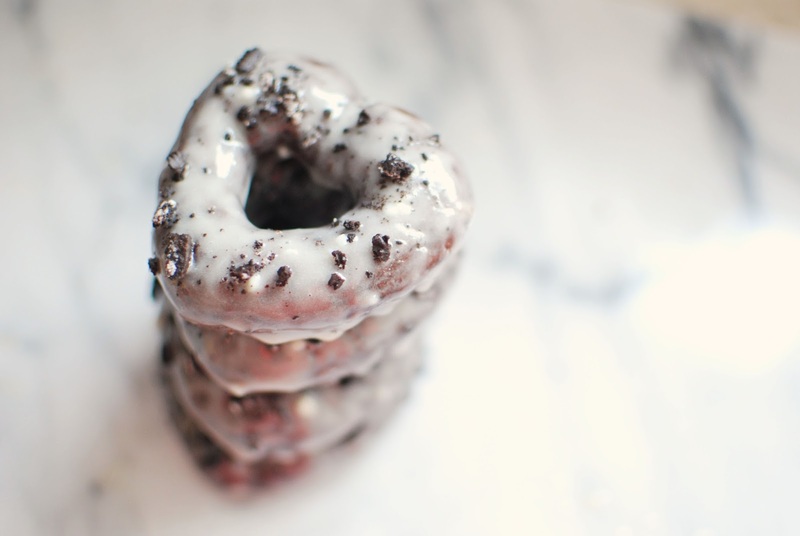 Grease your donut pan (this is crucial...I forgot to grease one of them). Preheat your oven to 350*F.
2. Whisk your dry ingredients in a large bowl and set aside. In a medium bowl, mix egg, milk, oil, and vinegar. Add to your dry ingredients and mix until combined. Fold in crushed oreos. 3. Transfer into a piping bag and fill each mould until 2/3 full. Bake for 10 minutes! 4. 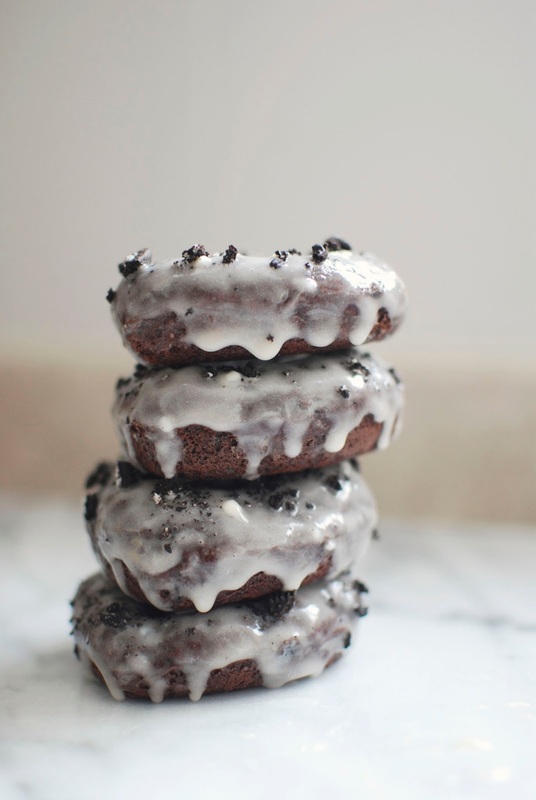 Once the donuts are cool, glaze them then EAT EVERY LAST BITE!